When applying for a loan, it is easy to assume that the first and sometimes the only place to get to for help and advice is the bank. The problem you will find is that individual banks will offer you the products and services only they provide, meaning you are less likely to have “shopped around” for cheaper and more affordable rates that may be available to you with other lenders. This is one of the reasons going to an independent mortgage broker can benefit you, as they are there to find the best mortgage for you. In order to do this, a mortgage broker will give you access to many products across the whole market. This way, you will be able to choose from a range of lenders and subsequent products, as opposed to being restricted to the single range of the lender you choose to go. An important thing to recognise is that your mortgage broker has a duty to care for you, particularly when providing you with unbiased advice to find the best mortgage for you. 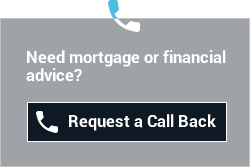 Mortgage brokers hold valuable knowledge due to being qualified to give you mortgage advice. As part of the process, your broker will recommend a suitable mortgage and be able to justify why what they have shortlisted is right for you and your current situation. Over the years, mortgage criteria have tightened significantly. It is important to remain in the loop with all changes in criteria and regulations, therefore having a mortgage broker on side will ensure that there are minimal delays throughout the process of your application due to knowing individual lender criteria and the best way to submit each case. Due to the amount of cases a broker may put through to lenders, this ensures that they have built strong relationships that allow them to exert influence and also chase cases in ways you cannot, in the event of things getting held up.